A very good, well researched book with a surprisingly comprehensive breadth. I didn’t read the whole thing. Any detailed mob history would be a bit a gruesome; and when you get the broader picture, some of the minutiae seems unnecessary. Still, it’s good for the historians interested in more specific cases; and it does address well a very broad subject. 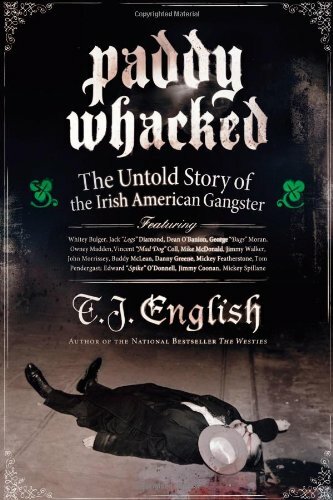 Some of what I found particularly interesting reading was: Tammany Hall in New York; the use of mob goons in strike-breaking; the background and eventual ascension of Al Capone in Chicago through the systematic elimination of rival Irish gangs; ‘Legs’ Diamond, ‘Mad Dog’ Coll, et al and the push of Irish gangsters to the fringes by the Combine (Italian and Jewish gangsters); the protection of Whitey Bulger in Boston by his state senator brother and due to his informer status by his corrupt F.B.I. handler (Bulger once strangled a 26 yo woman simply because she wanted to break up with his partner Steve Flemmi); the ruthlessness of the Prohibition-Era gangsters; the portrayal of gangsters by the likes of James Cagney; the Pendergast Machine in Kansas City, so similar to Tammany Hall; the Westies in NYC; and the hardening and callousness of mob killers through their service as U.S. war veterans.